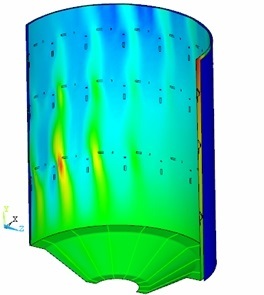 Learning or reviewing the fundamentals of finite element analysis (FEA), including best practice, will enable you to get the most out of your own simulation software or assess the FEA undertaken by others with confidence. This online version of our well established classroom-based course will provide you with a solid foundation in the basic theory and application of the finite element method to structural mechanics – helping you to run and critically evaluate simulations effectively and accurately. The training sessions combine formal presentations with a number of practical workshops to reinforce learning. We use the flexible and robust GoToTraining web conferencing system. Designers, engineers, researchers, students and managers who are currently or may in the future be involved with FEA within their role. This course is suitable for anyone using FEA software directly, involved in specifying FEA projects or reviewing, checking and interpreting results within FEA reports. As a fundamentals course, it is assumed that delegates do not have any previous experience. However, it can also serve as a refresher course if you have some existing FEA experience obtained from work or academic studies. This online course is split into two hour sessions over three consecutive weeks, held between 2.00pm – 4:00pm. Please select the week that you wish to begin the course on the form opposite. Please contact us to discuss if this course is suitable for your requirements and to book your place(s). This training programme is also available as a concise 1 day classroom-based course at our training facilities near Manchester airport and Stockport train station. Wilde Analysis uses GoToTraining for online events. You can easily attend a session from anywhere, anytime using a compatible computer or mobile device. Join by downloading on Windows or Mac To get the most out of GoToTraining, you can download and install the full-featured desktop software on your Windows and Mac computer. Learn more. Workshop – Which Element Type?